An Ankara prosecutor issued warrants to detain 12 engineers as part of a post-court investigation into the Gulen movement in Ankara, on Friday. 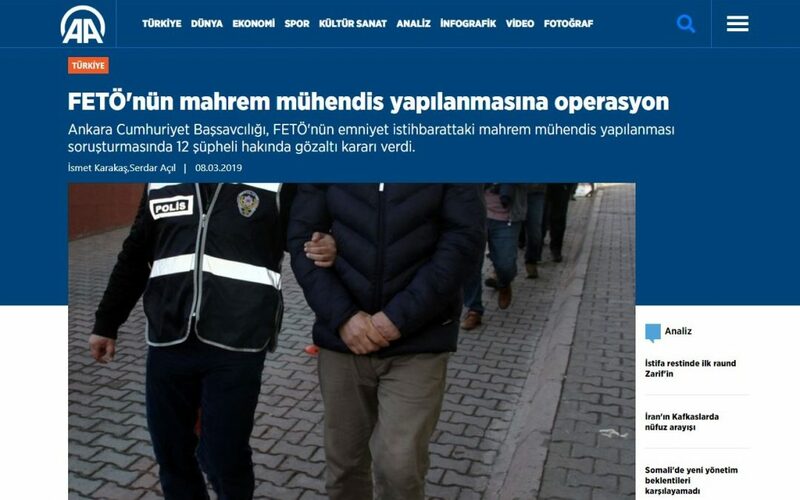 Police carried out raids on several locations in Ankara, İstanbul, Manisa, Muğla and Sakarya provinces and five of the engineers, accused of links to the movement, were detained. Police were searching for the rest at the time of writing. Turkish government accuses the movement of leading the July 15, 2016 failed coup while the latter denies involvement. More than 220,000 people from different backgrounds were detained so far.